MAHCP members, there’s a little over one month left to get your videos in for the chance to win wonderful cash prizes! The submissions deadline for the MAHCP Video Contest is Dec. 31, 2018. This contest, which was officially announced at the MAHCP AGM in October, has the goal of sharing with the public the important work that our members do every day. The prizes for this contest are spectacular: First prize is $1,500, Second prize is $1,000 and Third prize is $500. Please visit mahcp.ca/videocontest for more information on the rules. Once the video submissions’ deadline of 11:59 p.m. on Dec. 31, 2018, has passed, we will post the videos to our Facebook page and they will be judged on the number of “likes” received. We welcome submissions from individual members or groups of members. Please keep in mind that if you are doing a group video and yours happens to win, it is the responsibility of the main submitter of the video to disperse the funds as the group sees fit. MAHCP’s second contest taking place right now is the Window Sticker Contest. The goal of this contest is to increase our visibility day-to-day among our fellow Winnipeggers around the city, Manitobans beyond the Perimeter and beyond the southern half of the province. 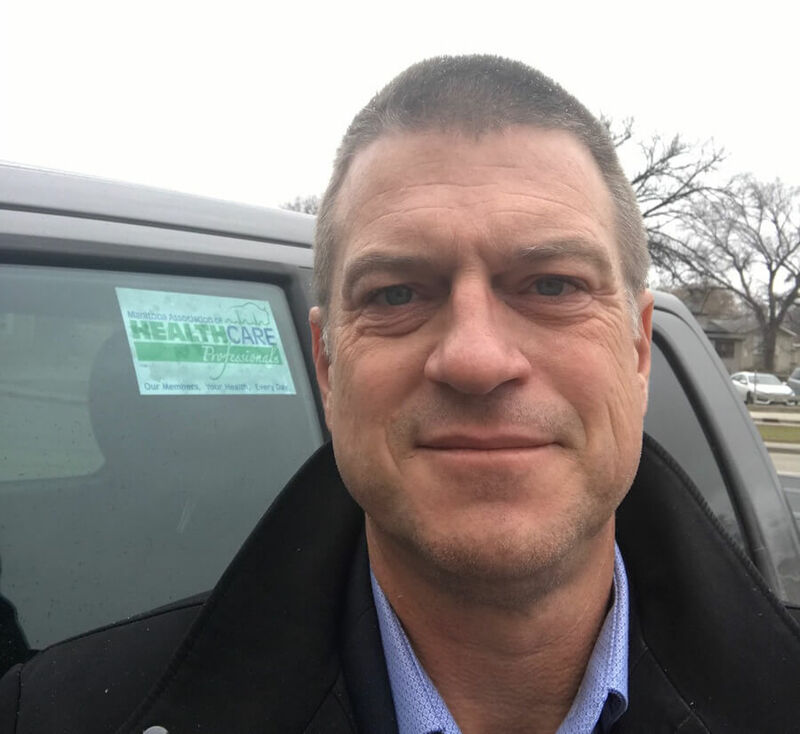 Please place this sticker in a safe, unobtrusive part of your vehicle’s window, take a selfie of yourself (or ask a friend to snap a pic) with the sticker visible, and send it to mahcpcontest@mahcp.ca for your chance to win a gift card. There will also be stickers available at upcoming site meetings with MAHCP President Bob Moroz and Labour Relations Officers. Please visit our website mahcp.ca often to view our calendar, which is located right on the home page. Events will be added as meeting rooms are booked. In addition, members can pick up window stickers at the MAHCP office located at 101-1500 Notre Dame Ave. from Monday to Friday, between the hours of 8:30 a.m. and 4:30 p.m. This is an ongoing contest, which means there will be several chances to win a gift card – at least one per month. We’ll keep it going as long as we’re receiving new pictures. Thanks and good luck, everyone!